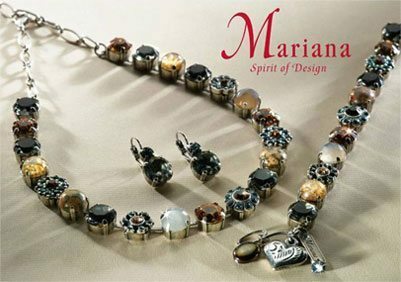 Artist and jewellery designer, Mariana has been creating unique, original and exotic pieces of fashion jewellery since 1997. 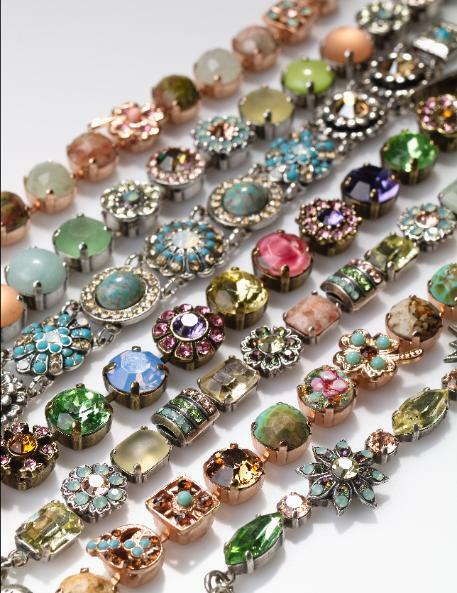 Timeless collections are hand made in Israel and deliver an exciting array of coloured gem stones, pearls and Swarovski crystals, set in nickel free 18ct rose gold, and antique silver or gold. 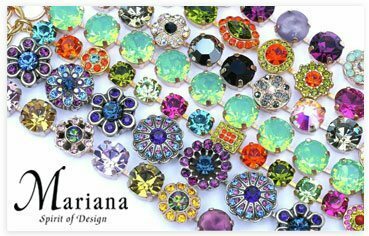 Mariana’s designs appeal to women of all ages from the exuberance of youth to the confident sophisticated woman looking for that special piece to enhance and complete her look. 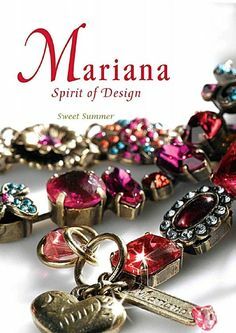 Mariana’s Spirit of Design jewellery is internationally recognised and her ever changing designs have enabled the Mariana brand to achieve substantial growth in major fashion centres all around the world. Each piece is hand crafted to the highest standard and comes to you with a lifetime guarantee. In order to preserve your Mariana jewellery avoid direct contact with water, moisturising creams and perfume”.